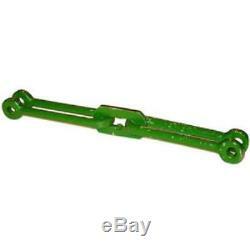 The item "JOHN DEERE M DRAWBAR LIFT LINK" is in sale since Tuesday, August 14, 2018. This item is in the category "Business & Industrial\Heavy Equipment, Parts & Attachments\Heavy Equipment Parts & Accessories\Antique & Vintage Equipment Parts". The seller is "reliableaftermarketpartsinc" and is located in Williamston, Michigan. This item can be shipped worldwide.